If you’re looking for a high-quality, healthy, and tasty whey isolate, WHEY+ is hard to beat. It’s 100% whey isolate, which means every serving is almost pure protein, with little to no carbohydrates and fat. It’s made from exceptionally high-quality milk from small dairy farms in Ireland. It’s created using cold microfiltration and ultrafiltration technologies to produce 100% intact, undenatured protein. It tastes delicious and mixes great. It’s naturally sweetened and flavored. If you want a clean, all-natural, delicious tasting whey protein isolate that’s naturally sweetened and flavored and free of chemicals, GMOs, and hormones, then you want WHEY+. Accordingly, whey protein quickly became the most popular sports supplement on the market, and it continues to dominate best-seller lists everywhere. When we set out to create WHEY+, we wanted to achieve several things. We wanted to maximize the amount of protein per scoop and minimize the amount of carbohydrates and fat. If you’re like us, you don’t like “wasting” calories on carbs and fat in protein powders. We’d rather eat those calories, not drink them. We wanted it to be free of lactose, artificial sweeteners and flavoring, gluten, MSG, and GMOs. Many people are lactose intolerant to some degree, so a lactosefree whey protein means all-around better digestibility and fewer upset stomachs. A gluten-free diet is unnecessary for most people, but those with celiac disease or a legitimate gluten sensitivity must avoid all forms of gluten. And, in general, GMO foods certainly aren’t as dangerous as alarmists would have us believe, but a large number of respected scientists believe more research should bedone before we fully integrate them into our food supplies and diets. Too many all-natural protein powders taste mediocre at best, so we wanted to create something that you will actually look forward to drinking. Well, that’s exactly what we’ve done with WHEY+. Why Choose 100% Whey Isolate? Whey concentrate is the least processed form and cheapest to manufacture, and it contains some fat and lactose. Whey isolate is a form of whey protein that’s further processed to remove the fat and lactose. This is a process that breaks down amino acid chains into smaller “chunks” for easier digestion. Now, supplement companies often tell us that we will see better results with whey isolate or hydrolysate than concentrate, but there’s insufficient evidence to support these claims. That said, choosing the cheapest whey you can find, which will always be a concentrate, isn’t always a good idea, either. A high-quality whey concentrate is somewhere around 80% protein by weight, but inferior concentrates can be as little as 30%. And if a protein is only 30% protein by weight, what does the remaining 70% consist of? One benefit of choosing a pure whey isolate powder is that you know that you’re getting something very close to pure protein with minimal additives. Another significant benefit of whey isolate is the removal of lactose, which means better digestibility and fewer upset stomachs. You should also know that the old “you get what you pay for” saw is particularly true with whey protein powders. On the other hand, just because a whey protein is expensive doesn’t necessarily mean it’s worth it. Then, in their marketing, they will call attention to the isolate and hydrolysate without telling you that they make up a small portion of each serving. “Amino spiking” is another common way that protein manufacturers and sellers rip consumers off. This scam exploits a simple loophole in supplement fact panel laws: you can add certain amino acids to your protein powder and count them toward the total protein count. So, for example, if a company wants to sell a cheap, low-quality protein that contains just 15 grams of protein per serving, they can pad it with 5 grams of a cheap amino acid, such as alanine, and legally say it contains 20 grams of protein per serving. Whey is naturally bitter and harder to flavor than a cheap amino acid like glycine, which is naturally sweet. Why hasn’t this loophole been closed yet then, you wonder? Ingredients are listed in descending order according to predominance by weight. 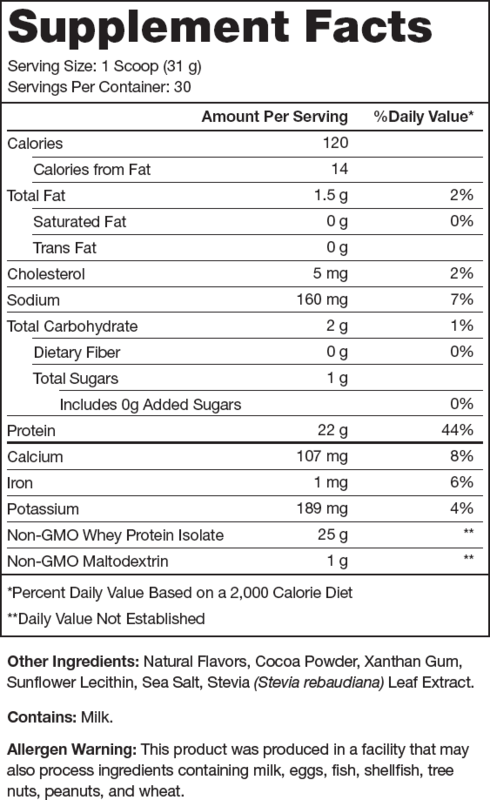 So, when you’re considering buying a whey protein powder, look at the order in which the ingredients are listed and the amount of protein per scoop relative to the scoop size. If a product has milk protein (a low-quality form of protein powder), maltodextrin (a filler), or any ingredient other than whey concentrate, isolate, or hydrolysate listed before the protein powder, don’t buy it. That means there’s more low-quality protein, maltodextrin, or other fillers in it than protein powder. Also, if a scoop is 40 grams but there are only 22 grams of protein per serving, don’t buy it unless you know that the other 18 grams are made up of stuff you want. In many cases, they’re not. Many companies will promote this as if it’s a benefit, but in most cases, it adds no value to the product and only means it’s more likely to be amino spiked. Many dairy cows are injected with a genetically modified hormone called rBGH to increase milk production. Studies suggest that consuming the milk from cows treated with such drugs may increase risk of disease in humans and that more research is needed. We went a step further though and decided to source our whey protein from Ireland for several reasons. The key measurement of milk quality is the number of somatic cells present in the milk, which are a type of cell that forms the body of an organism. When we’re talking milk quality, most of the somatic cells present are white blood cells that protect the body from infectious disease and foreign invaders. This is one reason why Ireland is the 10th largest dairy export nation in the world, with over 18,500 family-owned dairy farms producing approximately 1.4 trillion gallons of milk annually. Well, the milk used to make our whey comes from cows that spend the majority of the year outside grazing and exercising in pastures, eating grass. You’ll probably notice that we don’t use the “grass-fed” label in our packaging and copy, though. That’s because it’s fundamentally misleading. The “grass-fed” label can be used if the cow simply ate grass at some point in its life. It does not mean that it ate or eats only grass. Unfortunately, even the “100% grassfed” label doesn’t guarantee anything either because it’s not regulated like the organic label. Just one bite of grass in their lives technically qualifies the cows as “grass-fed,” and no agency is verifying the truthfulness of such marketing promises. Irish whey protein has a noticeably better flavor and texture. Well, this applies to whey protein powders as well. The Irish whey that we chose has a distinctly milder, creamier taste and mouthfeel than the best American-sourced whey isolate powders that we’ve tried. One taste of WHEY+, and you’ll see what we mean. 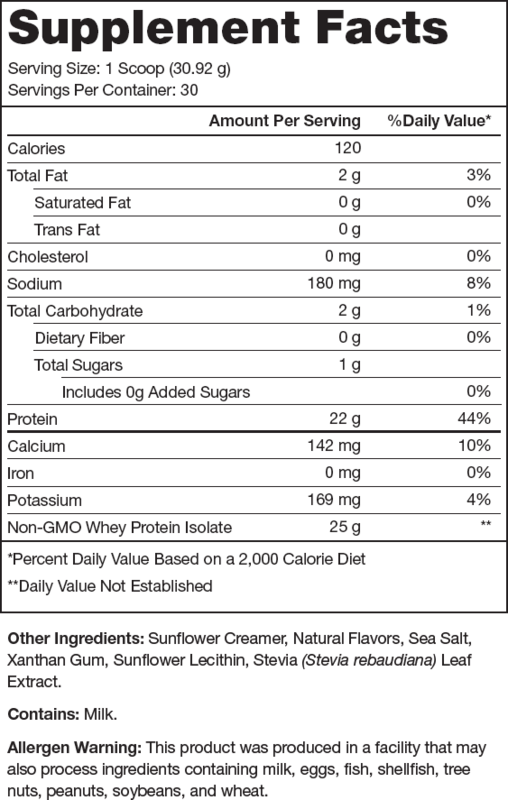 And here is the beauty of a high quality whey protein isolate: a ton of protein in every serving with little to no carbohydrates or fats. Every bottle of WHEY+ contains 30 servings, which is just over 2 lbs. of protein powder. WHEY+ tastes great, and is naturally sweetened with stevia. While artificial sweeteners may not be as dangerous as some people claim, studies suggest that regular consumption of these chemicals may indeed be harmful to our health, and that more research is needed. And while artificial flavors seem to be benign, they just aren’t necessary, natural flavors taste equally good. And in case you’re worried that naturally sweetened means horrible tasting, you can rest easy. We’ve taken special care to ensure that WHEY+ tastes delicious whether it's mixed in water, milk, or dairy substitutes like rice, oat, and almond milk. WHEY+ contains absolutely no “label stuffing” ingredients. We have a simple standard that we live by: every active ingredient used in LEGION products must be backed by published scientific literature and must be integrated at clinically effective dosages. Why is WHEY+ more expensive than other whey protein supplements? The old “you get what you pay for” saying is particularly true with whey protein powders. Producing a top-drawer whey protein powder isn’t cheap and if you’re paying less than $12 to 15 per pound as a consumer, you’re probably buying junk. You see, every day we get calls and emails from overseas suppliers of whey with shockingly low prices, and if we didn’t care about the quality of our products, we could double or even triple our margins by using one of them. Then, in the packaging and marketing, calling special attention to the isolate and hydrolysate without making it clear that these comprise only a small percentage of the overall protein. So if a protein powder lists whey concentrate as the first ingredient, that means it has more whey concentrate than anything else. If anything else comes first, such as maltodextrin or milk protein concentrate, that’s even worse, because maltodextrin is a cheap carbohydrate filler and milk protein concentrate is an inexpensive blend of casein and whey (usually 80/20, respectively). 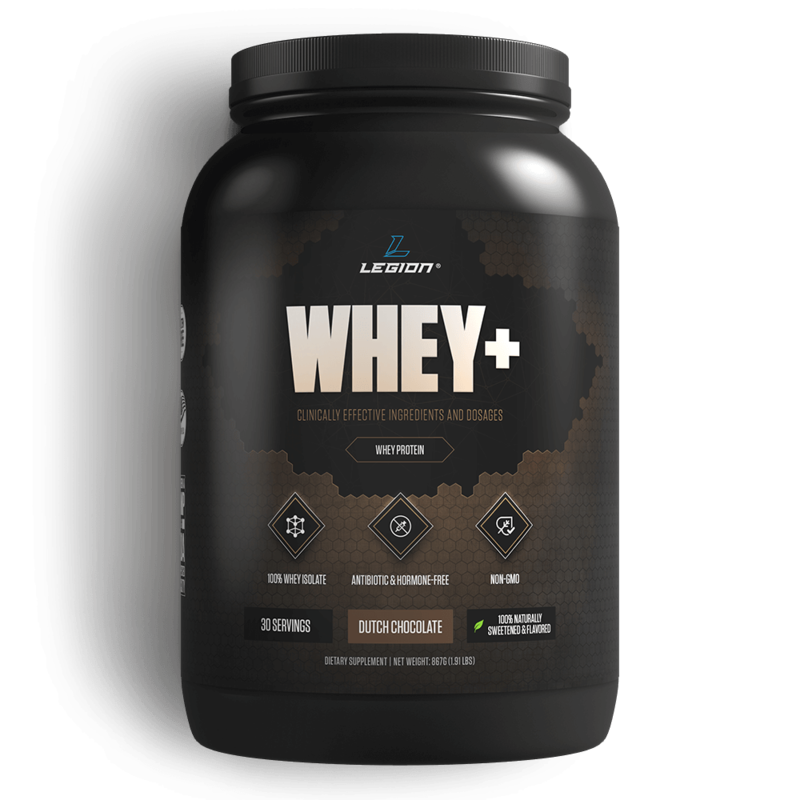 The first ingredients are whey concentrate, whey isolate, or whey hydrolysate. And if it bills itself as a true whey isolate or hydrolysate product, it shouldn’t contain any other types of whey protein. If you compare WHEY+ against those criteria, you’ll see it passes with flying colors. The bottom line is If you’re looking for a high-quality, healthy, and tasty whey isolate, WHEY+ is hard to beat. 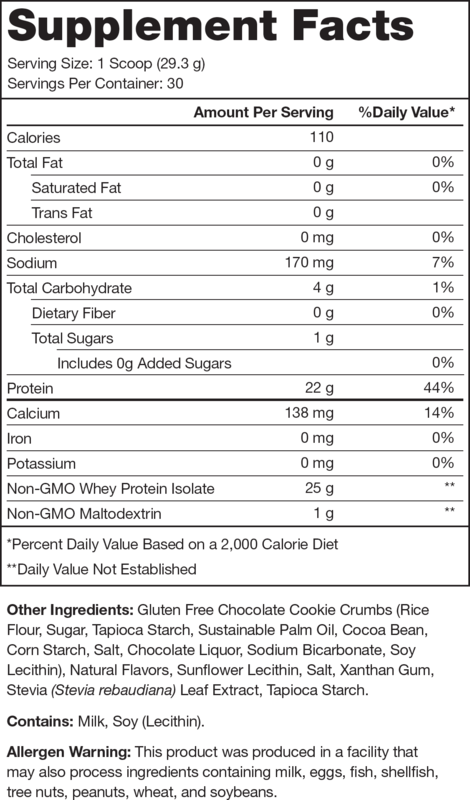 Why is there maltodextrin in WHEY+? Maltodextrin is a cheap form of carbohydrate and many companies “spike” products with large amounts of it because it tastes good. 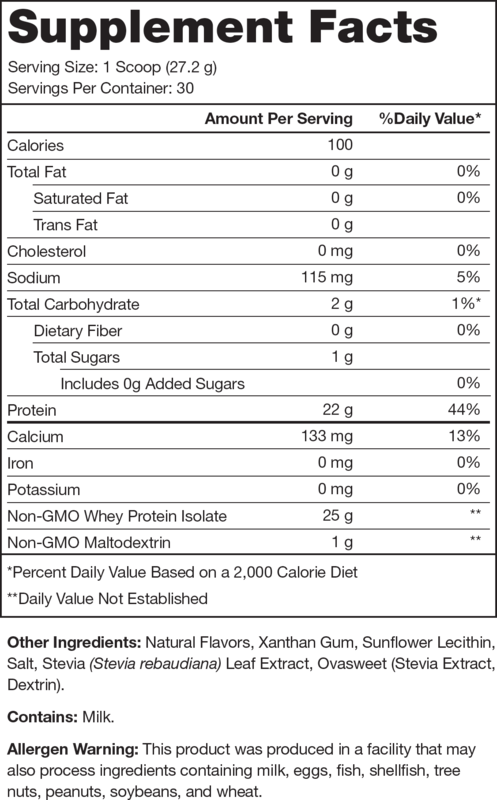 WHEY+, on the other hand, contains about one gram of maltodextrin per serving to neutralize some of the bitterness of whey protein. Considering the fact that each serving of WHEY+ contains 20+ grams of protein, less than 5 grams of carbs, and little to no fat, you can see how negligible the maltodextrin really is. What is soy lecithin and why is it in WHEY+? While it’s generally a good idea to limit your intake of soy products (and soy protein in particular), there’s a big difference between what’s in WHEY+ and eating soy cheeseburgers every day. First, there’s the amount. 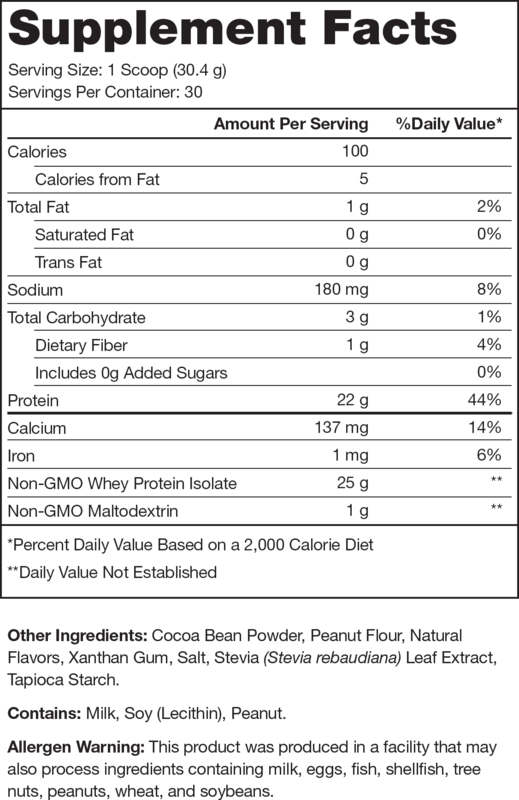 WHEY+ contains just 225 milligrams of soy lecithin per serving. Why did you choose whey isolate instead of whey hydrolysate? Whey hydrolysate is a form of whey protein that has been “hydrolyzed,” which is a process that breaks down amino acid chains into smaller “chunks” for easier digestion. A whey hydrolysate can be created from everything from the lowest quality whey concentrate to the highest quality whey isolate. The process of hydrolysis is what distinguishes it as a hydrolysate, not the inherent quality of the protein itself. Supplement marketers often tell us that we will see better results with whey hydrolysate than isolate or concentrate, but there’s insufficient evidence to support these claims. Thus, we decided against using a hydrolysate because it’s significantly more expensive than isolate but doesn’t seem to provide much else in the way of benefits. How much whey protein can I eat per day? I’ve heard that eating whey protein after a workout can help me build muscle faster. Is that true? I’ve also heard that eating whey protein before a workout can help, too. Is that true? Well, an important factor to consider is when study subjects had last eaten protein before having their pre-workout meals. You see, when you eat a meal, it takes your body anywhere from 2 to 6+ hours to fully absorb the nutrients it provides. Isn’t a slower-digesting protein like casein better for building muscle? Also, it’s worth remembering that the majority of your daily protein isn’t coming from powder--you’re simply supplementing your intake. 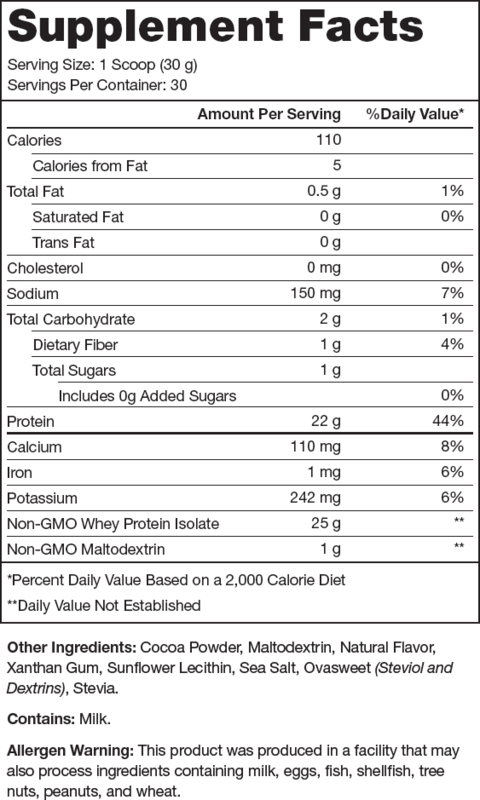 WHEY+ is too sweet/strong tasting for me. What should I do? 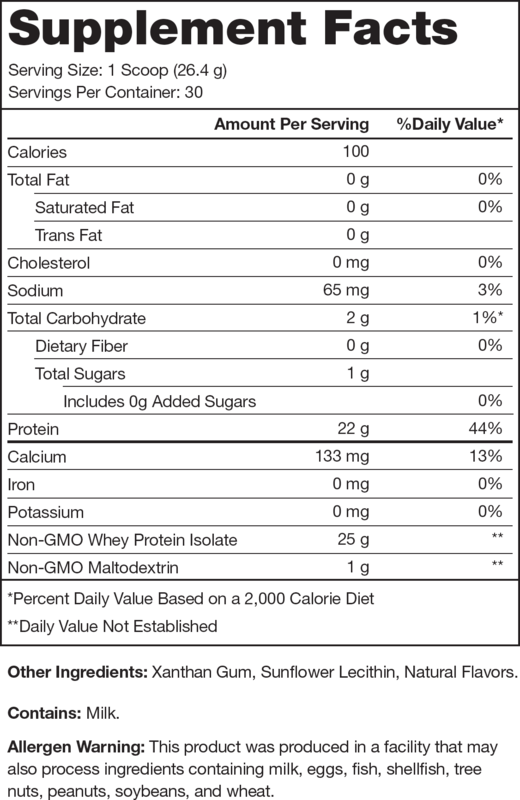 Also, we have tweaked WHEY+’s flavor profile several times since releasing it based on customer feedback, so please do let us know if you don’t like it. WHEY+ isn’t sweet enough for me. What should I do?